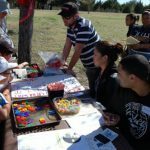 Service learning is an experiential type learning that offers students the opportunity to apply their classroom education to the “real” world. The SPCH 1311 for Health Sciences course includes a service learning project option. 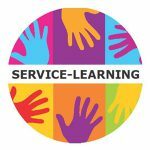 Additional professors who offer service learning components in their courses include: Theresa Glenn and Gretchen Harries. During the Spring 2018 semester, Mary Ragan completed a service learning project for her Introduction to Speech Communication for Health Professionals course. 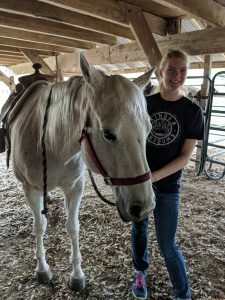 Her service learning hours were spent volunteering for Learning Together Equestrians, which provides horse riding lessons as therapeutic treatment for children with special needs. Through her service learning project, Mary learned how special needs children communicate, particularly those with sensory problems. On February 25, 2018, students enrolled in SPCH 1311 began an adventure that they never imagined could take place in a typical speech class. Through the means of a service learning project, 22 students experienced academic learning by serving their community. 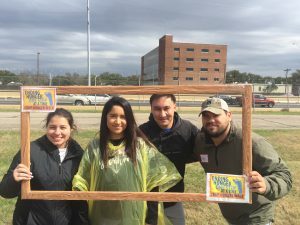 These students participated in the 2018 Austin Crop Walk. 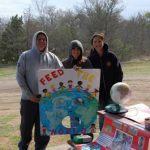 On the day of the CROP Walk, which raises funds for hunger in Austin and globally, students spoke to the walkers and educated them on these global issues. According to author Nick Morgan, “The only reason to give a speech is to change the world.” ACC students changed the world by preparing public presentations on these significant issues. Through this project, students were able to realize the impact that public speaking can make on the lives of others. They were able to get out of the classroom and see the actual application of academic theory. 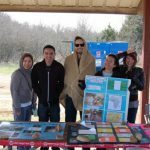 Students left the comfort of the classroom and drove out to Camp Mabry and shared their research with walkers. They were able to overcome the basic trials of public speaking while making a difference in our community. 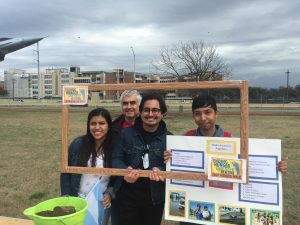 During spring 2015 through the means of service learning, students enrolled in SPCH 1311 at the Northridge Campus, experienced academic learning by serving their community and by participating in the 2015 Austin Crop Walk. ACC students changed the world by preparing public presentations on global issues such as world hunger focusing on Cambodia and the US, environmental issues in Serbia, literacy deficiencies, the effects of war on children and the HIV/AIDS crisis in Africa. Hear what students had to say about their experience.